By now you all know that I have been trying my best to eat breakfast. It's been quite a journey. I still have issues with ignoring the yogurt in my refrigerator...what can I say? Some habits die hard. But I have been making progress as well as making more breakfast. 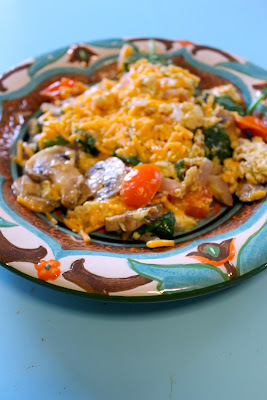 This recipe has been one of my favorites because if there are two things I love it's eggs and fresh veggies. This scramble is perfect for one and easily doubled. It's fast and it fills you up! Basically, it's a winner. Doubt it not. Also, you can totally modify the veggies to fit your personal preferences. Add or subtract as you see fit! I also think this could be eaten for lunch, but maybe I'm not the person to ask, exactly, given my propensity for breakfast issues. But I digress. Here I have some mushrooms, onions and tomatoes all cut up and ready to go! Here I got my two eggs, and I am adding a "3 count" pour of almond milk, which basically means I start to pour and I count to three. I know this is technical--I hope you can manage. Then scramble those eggs like they insulted your mama! Those eggs were asking for it, anyway! Okay, by now you are done taking your aggression out on the eggs, and your pan is heated--how convenient! Add your veggies and let them cook about 3-4 minutes. While they are cooking, salt and pepper them. Throw in a big handful of spinach! And give it a good stir. Then pour your eggs right in. using your spatula, stir it all around and get it blended. Also, make sure it doesn't stick to the bottom of the pan. When it's all cooked, top it with a "healthy" handful of cheese. I used cheddar, but you can use whatever you like! Put it on a plate and serve it up!! 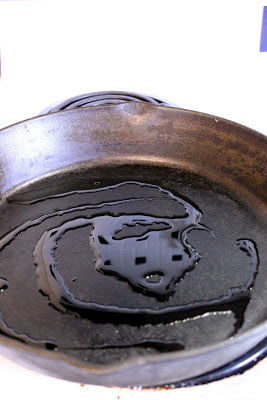 Put your oil in your pan and heat over medium high heat. 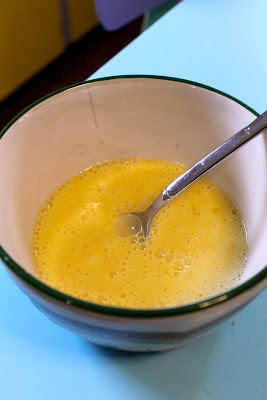 In a bowl, add your two eggs, and add a three count pour of milk (or almond milk). This basically means that you are going to add the milk and count to three. Beat with a fork and set aside. Add your mushrooms, tomatoes, and onions to your hot pan. Cook and stir for about 3-4 minutes. Add your spinach, and stir. Add a little salt and pepper. Pour your eggs over all of it and using your spatula, keep the eggs from sticking to the pan. Stir and cook the eggs until they are done. When they are through cooking, add the cheese to the top of it all and transfer to a plate and enjoy!